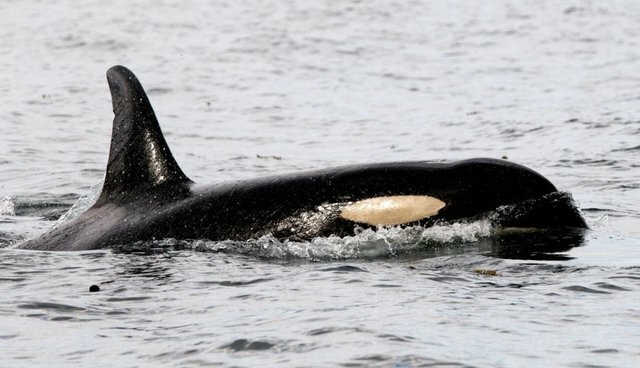 "The interesting thing about tipping points is that you never know quite when you're at the top -- you need to keep pushing tenaciously until the momentum is unstoppable," Louie Psihoyos, executive director of Oceanic Preservation Society said in reaction the Congress' push to protect orcas. "The momentum against cetaceans in captivity is now reaching that apex -- when Congress acts quickly and unanimously on anything you know we are about to see the summit of that tipping point. SeaWorld investors should be running from the exits like rats from a ship." After 20 years of a failure to update regulations on captive marine mammals, a pair of Congressmen have successfully passed an amendment that will force the U.S. Department of Agriculture to update their rules that protect captive orcas and other marine mammals on Wednesday. The amendment, which passed with unanimous bipartisan support, was introduced by Reps. Adam Schiff (D-CA) and Jared Huffman (D-CA) to the Agriculture Appropriations Act. It will provide $1 million toward an effort that involves studying the effects of captivity on orca whales. The amendment comes after 38 members of Congress penned a strongly-worded letter to the U.S. Secretary of Agriculture Tom Vilsack and to the USDA demanding updated regulations for captive marine mammals in the country -- a bold move that shocked many animal advocates. "For almost 20 years, USDA has failed to review and update the Animal Welfare Act regulations for captive orcas and other marine mammals. These rules certainly should have been revised in light of new data twelve years ago when USDA opened up the rulemaking process. Unfortunately, they dropped the ball-so it's time to try again. Our amendment reminds USDA that inaction is unacceptable – the American people want to see these regulations reviewed and updated to reflect the growing scientific and public concern about the effect of captivity on these animals."